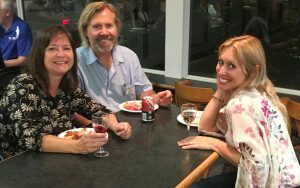 Thank you to Tom and Lyndon Dyas of the Chamber of Commerce Group Insurance Plan for hosting our June Business After Hours event! This was an exciting evening for members, with over $600 in door prize give a ways. 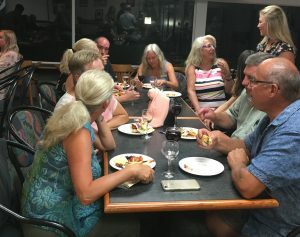 Thank you to our many sponsors that helped make the evening such a huge success: Lake Country Ace Hardware, Olive Us Oil and Vinegar Tasting Room, Turtle Bay Pub, Profile Marketing, Intrigue Wines and the Chamber of Commerce Group Insurance Plan. Over 40 members and guests attended the event to learn more about the many benefits of joining the Chamber of Commerce Group Insurance Plan. 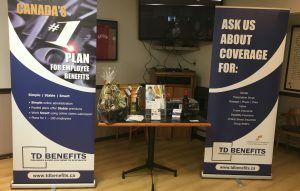 During the evening guests gained valuable information on the benefits of the Chamber’s pooled plan, the many areas of coverage available, as well as the flexibility to create a plan that works to meet each persons individual needs.